Agrolavia offers a great variety of activities to make the most out of your visit and becoming one with nature. Walks across narrow valleys spotted with old vineyards, natural streams & refreshing pools, bird watching, fruit, vegetable & mushroom harvest depending on the season. Karting, paintball, rafting and other adventure activities are available. Enotourism is our passion and wine is at the heart of our lifestyle. Discover a unique spot of Monastrell winemaking with us. 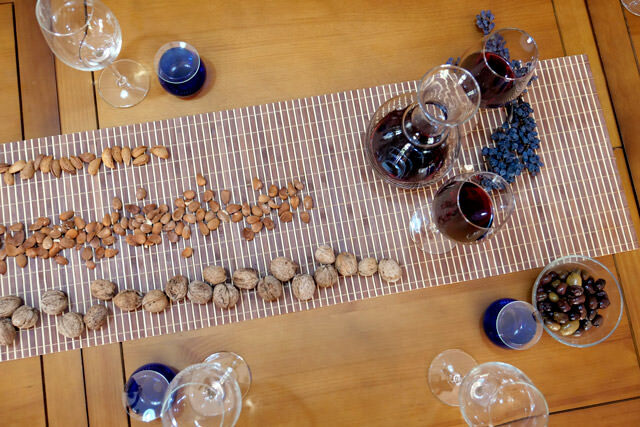 Enjoy fun tastings, walks and meet the people who care most for wine: the family of wine growers. 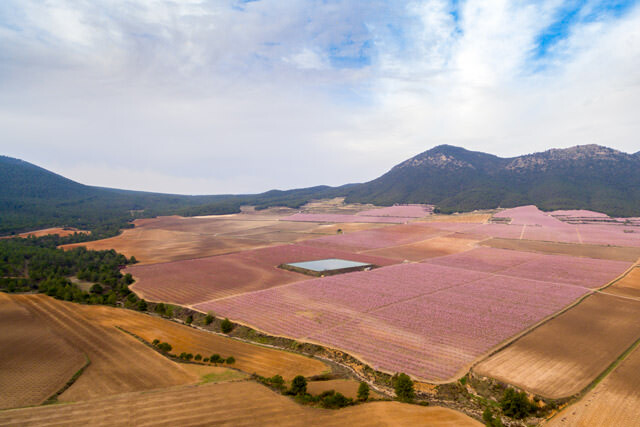 Agrolavia is located in one of the most beautiful and environmental value in the North West of Murcia; at the heart of Cambrón y Lavia mountains. Over 20.000 Ha of mountainous landscape in a ZEPA area (Special Protected Area for Birds). Walks through old vineyards, almond & olive trees, pine forests covered with aromatic healing herbs where honey bees get precious nectar to elaborate extraordinary mountain raw honey. This route is of great beauty and easy accessibility. Discover it on foot or cycling. 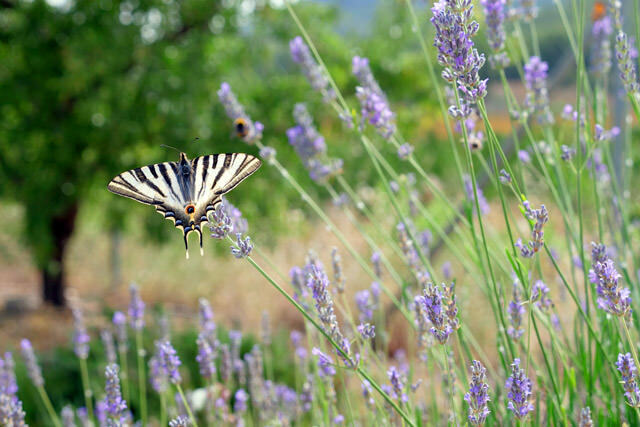 Enjoy fresh air and a peaceful environment full of endemic and aromatic plants. We recommend to stop at “Barranco de la Regidora”, a gully of high environmental value on your way from Bullas to Cehegín. A place worth visiting if you are interested in local flora and fauna. At Agrolavia you can initiate several tracks on foot, having a great connection to predetermined routes as the famous GR 7 of Murcia. Starting from our facilities you can access the Aceniche Valley, one of the most important winemaking places in Bullas. The route goes through a ZEPA area (Special Protected Area for Birds). It is an easy route along a dry river bank covered with pebble that channels flood waters from mountainous valleys to the Mula River, tributary of Segura River. We recommend to wear comfortable shoes. Length: 1 hour. This route starts next to the Salto del Usero, the gorgeous waterfall scenery in the town of Bullas. It passes through places of great environmental and historical interest, with views of the winding course of the river, passing through the Molino de Arriba (BIC space), the remains of the deposit of the Arab fortress of Castellar (12th century), the sites of Ucenda and Poleo and with beautiful views of the town of Bullas. On the descent, we return by a spectacular path along the side of the mountain to finally be able to cool off in the waters of the main pool & waterfall. In case you prefer more dynamic activities, other companies in the area have an interesting offer of complementary activities and active tourism in the natural environment. In Bullas, in the rural area of the “Rio del Puente”, the “Bucaré” Equestrian Center is located, where you can perform equestrian activities and horse riding. 2 km away from Bullas you can find “Naturaventura El Romero”, an active tourism company dedicated to recreational-sports activities and environmental education, where you can make very varied activities in contact with nature, among others, zip line, paintball for adults and children, archery, hiking and orientation courses, climbing wall, go-karts, etc. In the industrial estate of Bullas, at the entrance of the town, is Chicano Karts, a fully equipped kart track, a fun activity for the whole family that also allows the little ones to know and become familiar with the basic rules of the vial education. 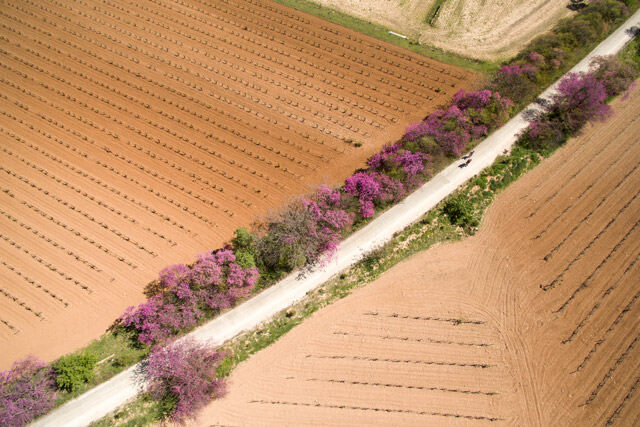 In the municipality of Blanca, in the Ricote valley, the Segura River runs through an area of orchard and riverbank that leaves no one indifferent. In this enclave you can enjoy adventure sports with professionals experienced in active tourism, water, land and air. Some of these activities take place in the section of the Cañón de los Almadenes, an itinerary that runs through a beautiful landscape of great environmental interest.